Venous Ultrasounds are a valuable diagnostic tool used in cardiology to discover a wide variety of cardiovascular-related conditions that can lead to critical health issues if left unattended. They work by utilizing a ‘duplex’ technique that combines traditional and Doppler ultrasound, which allows for blood flow analysis and the capture of vein images. The most common use of Venous Ultrasound testing is to locate a type of blood clot typically found deep within an extremity, known as a deep vein thrombosis (DVT). This type of clot can lead to a life-threatening pulmonary embolism if left untreated. These ultrasounds are also used to uncover damaged heart valves associated with varicose veins, examine solid-organ transplant viability, map out veins for use in heart bypass surgery, and help diagnose certain congenital vascular malformations in children. This is why the quality administration of these tests is considered such a high priority among physicians, medical centers, hospitals, and organ procurement organizations (OPOs) alike. Telecardiologists are helping to advance faster, more accurate venous ultrasound diagnoses through the use of cutting-edge AI technology, centralized information portals, remote peer-to-peer consults, state-of-the-art digital imaging, and more streamlined reporting processes. This is particularly important for cases that require rapid treatment, such as those involving pulmonary embolism. Take a look at three key ways that telecardiology is helping to elevate venous ultrasound in order to improve patient health and help boost organizational growth. Analysis of venous ultrasound images by telecardiologists is sometimes referred to teleultrasound (TUS). Here, digitized video images are sent by sonographers to remotely located cardiologists via internet or satellite transmissions. Advances in video streaming have even allowed these specialists to conference into venous ultrasound testing in real time in order to guide sonographers and provide on-the-spot diagnoses. This is particularly advantageous for those experiencing medical emergencies. In fact, recent research conducted on telesonography transmissions found that all the telespecialists who used qualitative measures to report their findings stated they’ve received reliable, high quality images while utilizing TUS technology. Innovative technological breakthroughs over the last decade, such as LTE networks, have helped create high resolution views that greatly speed up diagnostic times without sacrificing quality. These images are so clear and accurate that NASA now uses TUS technology to make on-site diagnoses of astronauts who are flying in low space. The use of long-distance diagnoses by NASA reveals another highly advantageous benefit to using telecardiologists for venous ultrasound analysis. The convenient 24/7 access to trained specialists can assist patients with critical conditions in receiving life-saving care quickly, especially in more remote areas. These patients would normally have to schedule their ultrasound around specialized practitioners’ in-house availability and travel long distances to receive the test, which isn’t always feasible when time and resources are limited. With TUS technology, board certified telecardiologists can step in to assist with test administration in real time, which is highly advantageous in medical facilities who use nonspecialized health care providers to carry out venous ultrasound testing. This helps expand testing schedules to better accommodate patient needs while still maintaining quality diagnoses. It also allows those who cannot travel to test sites to use hand-held venous ultrasound devices instead of on-site testing. Results can then be digitally transmitted to their primary carry physician (PCP) for remote evaluation by expert cardiologists. 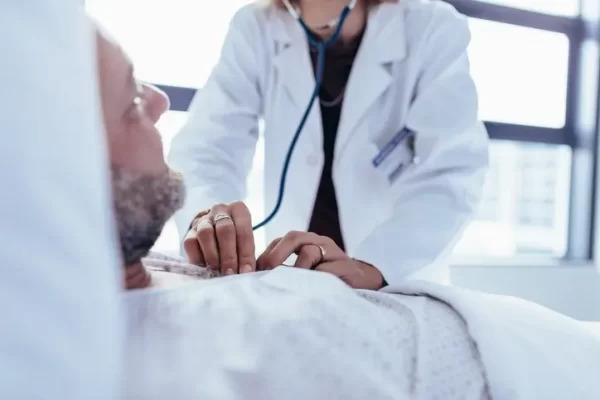 The World Health Organization (WHO) estimates that 25% of patients worldwide require some sort of diagnostic imaging service in order to receive accurate care. Telecardiologist’s quick and convenient ultrasound diagnostic services are a vital tool to help reach more people and provide them with proper treatment protocols. Studies have confirmed that these advantages assist in boosting patient equity in both the United States and abroad. 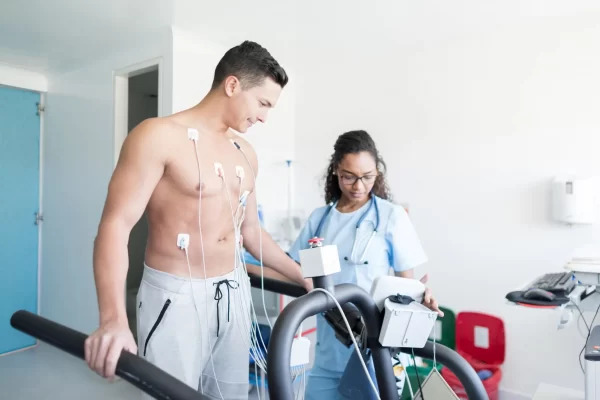 As we’ve seen, the use of telecardiologists for venous ultrasound diagnoses is helping medical facilities to reach more people, and thus expand their patient pool. 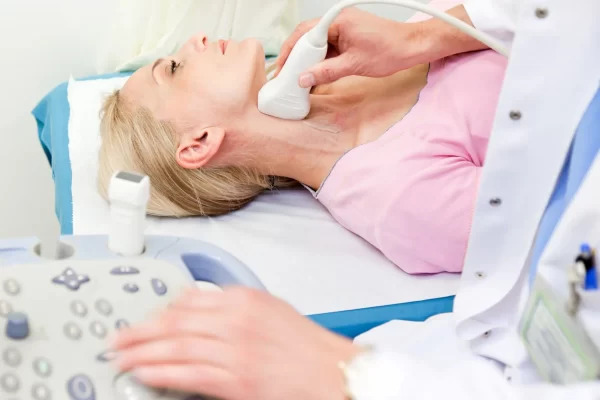 The quick turnaround time for these telesonography diagnoses, which have been shown to be up to 6 times faster than traditional interpretations, is also helping to increase patient confidence. This increased confidence helps build stronger customer loyalty and strengthens organizational growth. In fact, research reveals that TUS not only saves patients time and money through reduced hospital stays and surgeries, but also assists medical providers in reducing staff overtime, outsourcing, and workstation costs by up to 50%. By unifying healthcare information, AI technology, and human reporting under one centralized portal, ultrasound diagnostic services delivered by telecardiologists help to streamline processes so that errors are reduced and lifesaving patterns of pathology can be quickly assessed. Because of these multi-tiered cost savings, the industry is projected to grow exponentially in the coming years. In 2016 teleradiology, which includes the lifesaving venous ultrasound testing, held a 1.99 billion dollar share of the U.S. market. By 2024 this amount is projected to reach to 8.2 billion, with an estimated compound annual growth rate (CAGR) of nearly 20% in just 6 years. This latest report cites the availability of affordable, real-time transmission systems, favorable health care incentives, the growing geriatric population, and new digital devices as the key reasons for the upcoming market surge. Due to their associated cost savings and wide patient reach, nonprofit and government agencies are also helping to promote the use of these remote diagnostic services. This is assisting in making them a highly attractive investment for a rising number of hospitals, primary care clinics, medical facilities, and OPOs throughout the country. Our venous ultrasound interpretation services by U.S. Board Certified telecardiologists offer your organization the highest levels of customer support, innovative cloud-based, HIPAA compliant technology, client-centric workflow schedules, and low overhead that allows for highly competitive rates. We also provide 24/7 access, 365 days a week. Contact us today to learn more about how we can assist you in elevating your patients’ health and boosting your organization’s long-term growth.